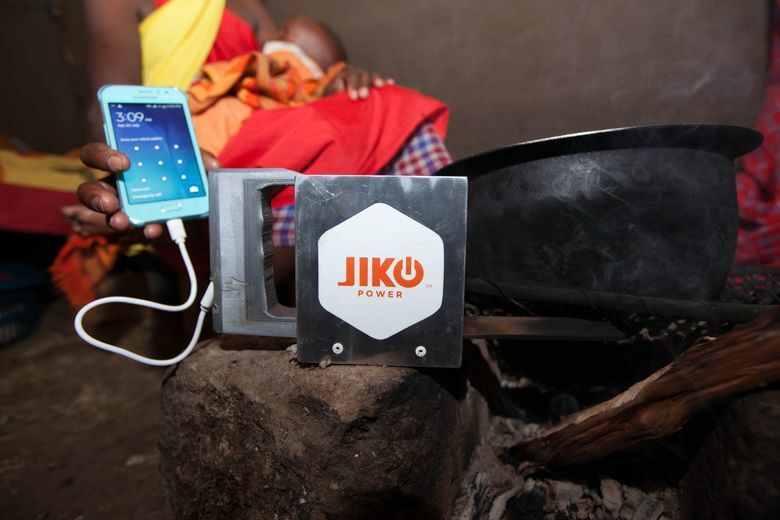 A Spark prototype uses excess heat to charge a cellphone in rural Kenya. The JikoPower Spark, tested and incubated at UW, is a Mad Max-looking metal cup with a long copper prong that can charge phones. And, yes, it gets a lot of curious stares.